Haven’t you been thinking about creating your own IT project and making it work for you? Yet, you probably lack time, knowledge, or inspiration to finally make a right decision and monetize your idea. Don’t hide your ideas – give them a chance to make a profit for you. This is a perfect offer for Startups and Small Businesses. 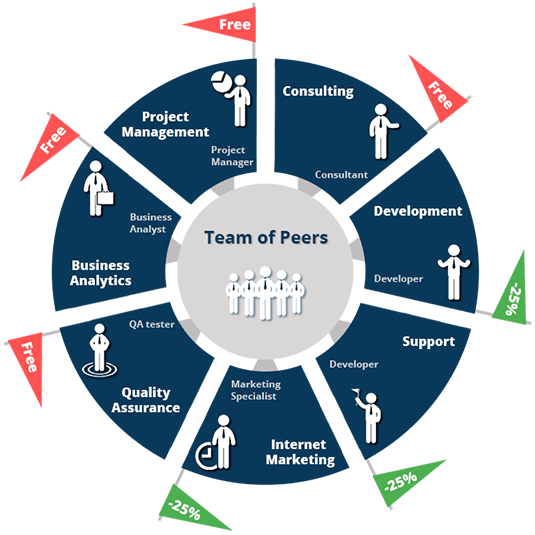 It describes bright opportunities of IT project development for Start-ups and SMBs that can get all the services for free, regardless of project size. We offer a 25% discount for development from the project start to its completion. Grab it now! Consulting services about the project concepts, development methodologies, technologies and pricing models.